Mirrors are objects that help us build up courage and self-confidence before going out and meeting people. They play an important role in our life. The Contemporary Shine Mirror is the one that will give you the faith you require in yourself. It is beautifully designed with a large frame. Round in shape, its diameter along with the frame is 50.7cm and the depth is 5.4cm. It is made of long-lasting, durable plastic. It has a chic look, and will definitely enhance the beauty of the place wherever it is kept. 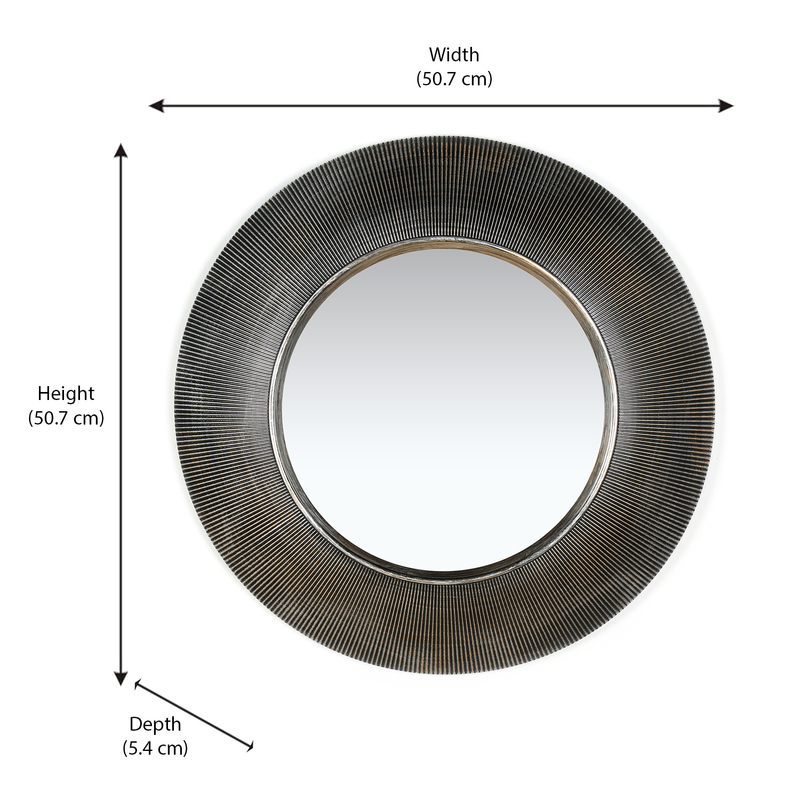 The mirror is silver in color and a great choice for home interiors with a modern look. The mirror is a must buy as it can also be used as a decorative item. The mirror has modern sophistication with a touch of glam. It is a great choice for homes to make it look bigger. The silver color is such that it blends perfectly with all kinds of interiors. The product is a must buy as it adds a little bling to the wall where it is put. Visit @Homes now, to buy the product, and have a look at various others of the same category.